With the week finally winding down- we want to know, what do you have planned this weekend? At ABCey, we are always looking for the best excuse to get out and enjoy what the city has to offer. Take a look at what we’re most excited for! 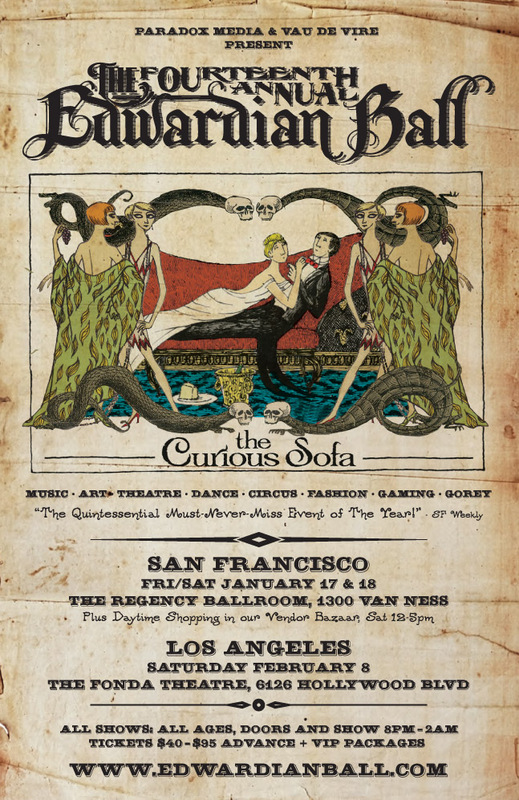 FEATURED EVENT: 2014 Edwardian Ball and Faire: |Friday, January 17th-Saturday January 18th| Regency Ball Room, San Francisco| 8pm-2am| The elegant, whimsical and musical Edwardian Ball takes place this weekend at the Regency Ball room. 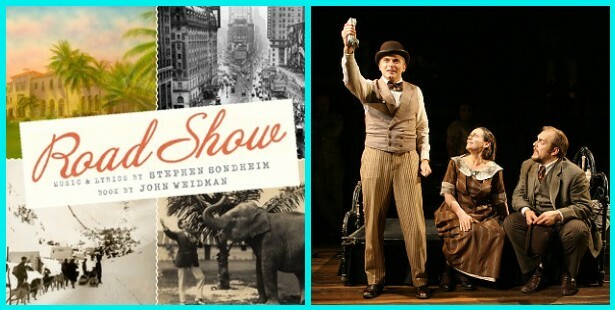 Set in an imagined Edwardian era it blends classic ballroom with fine art, live DJs and costumed attendees in edwardian dress! It is considered one of the not miss events of the year, come and join the fun. 1. Road Show|Thursday January 16th- Sunday January 19th| Eureka Theater, San Francisco| 8pm: Looking for a good laugh? Come out to Eureka Theater this weekend to catch Road Show, a story about the American dream and two brothers searching for the next way to strike it rich spanning from the Alaskan gold rush to the Floridian real estate boom it is sure to be filled with laughter fit for everyone! 2. 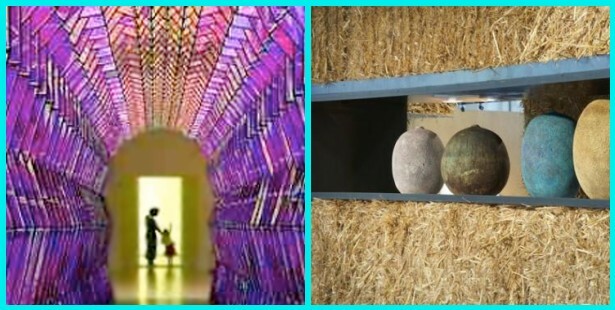 FOG Design+Art| Saturday January 18th- Sunday January 19th| Fort Mason Center| 11am-7pm| Hosted by SFMOMA FOG is celebrating 100 years or art and design, this year will feature prominent 20th century and contemporary art and dealers. Come out to the Fort Mason Center to enjoy in a wide variety of art, discussions and performances. Tickets can be purchased online for $15 or at the door for $20. 3. 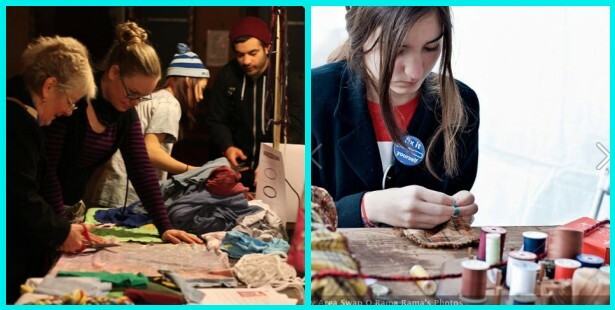 Swap O’ Rama-Rama: |Saturday, January 18th| American Steel Studios, Oakland, CA| 1pm-4pm| Swap O’Rama-Rama is a non-profit clothing swap and DIY workshop that takes place in over 100 cities world wide. This Saturday come out Oakland, no admission necessary, and not only learn new crafts, but learn new ways to repurpose anything from house ware to clothing and beyond! 4. 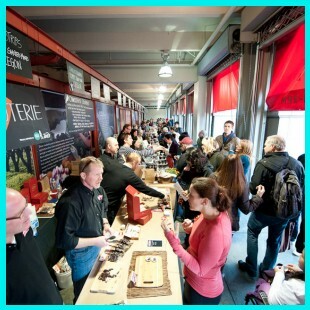 Good Food Awards Market Place: | Saturday, January 18th| Ferry Building, San Francisco| All Day| Come out to the Ferry Building this Sunday to get a taste of the winners of the Good Food Awards. This sunday, the winners will be showcasing their products for the public, tickets to the market are $5 at the door and it will be open all day. Come out and enjoy the sunshine and flavors! 5. 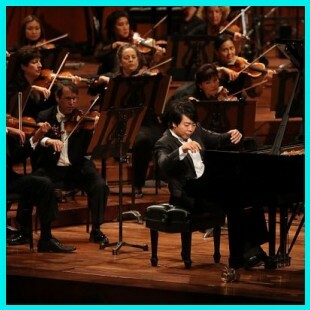 Civic Symphony Concert: |Sunday, January 19, 2014 | Sir Francis Drake Hotel | 1pm| The San Francisco Civic Symphony was founded in 1931 and is the oldest community symphony on the West Coast. On Sunday they will be showcasing their work at the ballroom in the Sir Francis Drake Hotel for the public. Come out and enjoy the sounds of Tchaikovsky and Strauss among other works, it’s free for all ages! Let us know what events caught your eye! Is there anything we missed? Let us know in the comments below or on Facebook and Twitter!